Awesome location within the River Heights townhome complex. This complex is bareland strata and is very well kept with super low maintenance fees. 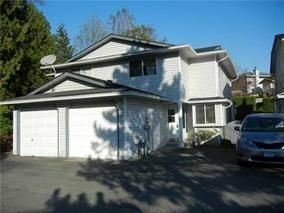 This is a duplex style townhouse with a large pie shaped yard that is completely private. It has an attached single garage plus an extra parking spot. Upstairs has 3 good sized bedrooms. This unit is in rough shape and is a great opportunity for someone to do a total reno and build themselves a beautiful home in a great location. Roof is one year old.